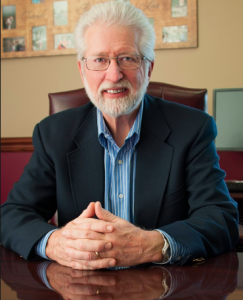 In Episode 13, Dr Roussel interviews Mr Dale Bellis, Executive Director of Liberty Healthshare. As one of the oldest health sharing ministries, Liberty has extensive experience coordinating healthcare sharing with DPC. Founded as an organization devoted to paying for healthcare expenses in a radically different way, Liberty’s health sharing process allows each member to share their healthcare expenses without the cumbersome requirements of an insurance plan. Liberty, notes Mr Bellis, is a strong supporter of DPC because it promotes the doctor patient relationship, lowers healthcare cost and allows for a more personalized approach to healthcare. In fact, Liberty has gone so far as to reimburse members of their plan for a portion of their membership expenses when they join a DPC Practice. In the interview, Mr Bellis discusses the health sharing process. In particular he discusses how the health sharing process works, how it is similar to/different from insurance. He also discusses what needs are or are not eligible for coverage. Finally, he elaborates on how Liberty membership pairs with DPC. [03:42] Can Liberty still pay every time even if it isn’t insurance? [05:00] Has Liberty ever not been able to meet a need? [07:53] Does Liberty pay for DPC? Mr Dale Bellis is the Executive Director of Liberty Healthshare. Prior to joining Liberty in 2012, he worked for decades in third-party administration of healthcare plans for employer groups. He is a strong believer in Direct Primary Care as a way for member’s to access healthcare. At Liberty he has made it a priority to encourage members to join DPC practices and is a firm supporter of the DPC movement.